Today’s Follow Friday is Doug Marples, who was featured several months ago in our Show Us Your Shop column in our February 2013 issue of Wood News. 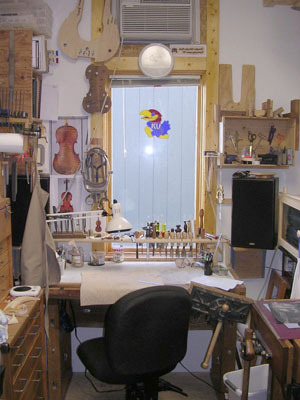 Doug’s primary focus is making violins and violas in his Marples Violins shop in Lawrence, Kansas, where he makes about 8-10 concert quality instruments per year. From his website, we learned that Doug has not always been in the instrument business, and before calling his shop his everyday workspace, he was a Doctor for 23 years. 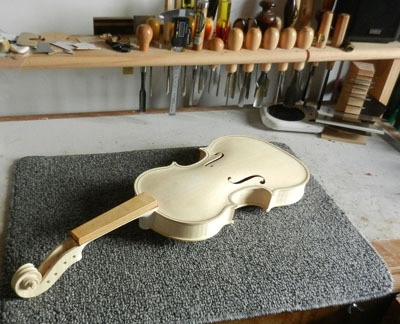 He switched careers and graduated from the Violin Making School of America in Salt Lake City in 2007, and now works full-time in instrument making. 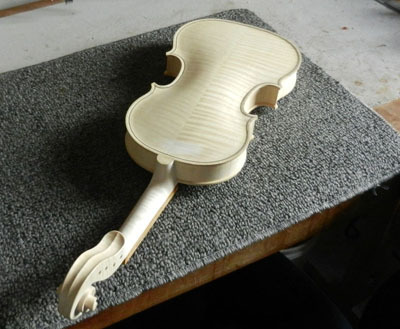 His work is inspired by the many great Italian violin makers including the Amati family, Gasparo da Salo, Antonio Stradivari, Giuseppe Guarneri ‘del Gesu’ and JB Guadagnini. To learn more about Doug Marples, you can visit his website HERE and Like his Facebook page HERE. 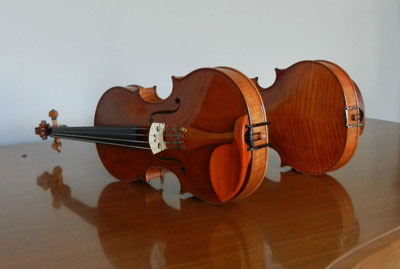 Front of violin before varnish. Back of violin before varnish.